Our soap is made with goat's milk that comes directly from our herd of registered Nigerian Dwarf goats. We use this soap daily for our faces, hands, and as body wash. Give our soap a try, I think you will be very pleased! 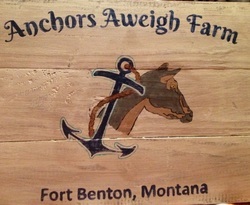 Please contact us at anchorsaweighsoap@gmail.com for a current listing of available soaps.We will be working on getting an updated list on this page soon!